Violence is the main obstacle to human development. Since there is an intrinsic link between patriarchy and violence, mitigating violence requires overcoming the patriarchal mindset in both secular and religious institutions. The mission of this electronic newsletter is to provide a commented digest on current research and emerging issues related to human solidarity, ecological sustainability, and both secular and religious non-violence. Each section includes links to relevant "best of the web" content. The basic philosophy of the newsletter is Christian, but no source of wisdom is excluded. The U.N. "Millennium Development Goals" (MDGs) are used as a point of reference. US Agency for International Development (USAID). accessibility and affordability of information and knowledge. to make better decisions to address development challenges. The 2008 presidential election in the USA was driven by an enormous amount of money. 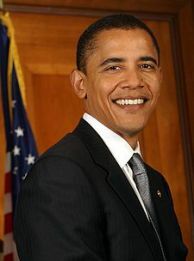 There can be no doubt as to Barack Obama's intelligence, eloquence, and reassuring demeanor. Nor can there be any doubt as to the superior management of his campaign. However, the collapse of the Hillary Clinton campaign in the primaries, and the subsequent collapse of the McCain/Palin campaign in the aftermath of the Wall Street financial meltdown (September 15 or so) cannot be fully explained without taking into account the overwhelming financial resources at Mr. Obama's disposal. Indeed, the plush campaign headquarters in Chicago and a ratio of 3 to 1 in the number of state offices, would seem to require a significant financial advantage early on (2007 and early 2008). So money drives politics. What else is new? One concern is that the extravagant spending during this electoral campaign has reinforced the consumerist mindset and behavior of the American people. Going forward, even in the midst of the current euphoria about his election, it is appropriate to wonder about what are the "changes" to be accomplished by the new administration. Hopefully, by "change" is meant more than just a different person sitting in the oval office. Will there be an effective neutralization of the "old boys' network" in Washington DC? Will there be an effective neutralization of the army of corporate lobbyists who represent special interests which have little or nothing to do with the well-being of the American people, let alone the really critical issues of social and environmental justice worldwide? What is the meaning of "spreading the wealth"? Will there be a transition from "economic growth" to "sustainable development" and, in particular, "human development"? Will the new president tell the American people that the consumerist party is over? The Global Poverty Act, co-sponsored by Senator Obama, is a sign of hope. What about the inception of auditable global regulations for the financial and environmental issues that clearly transcend national boundaries? What about supporting a thorough reform of the United Nations, and increasing American support for the UN MDGs? Will there be a radical renunciation, by the USA, of violence and war as the way to resolve international crises? Are we going to have effective leadership to achieve the paradigm shift from consumerism to frugality in the First World? What about taxing corporations so as to provide incentive for a paradigm shift from profit maximization to the Triple Bottom Line? Consumerism is a greedy society's religion, Anthony Robinson, Seattle PI, 8 February 2008. Obama's Money Cartel , Pam Martens, CounterPunch, 5 May 2008. The Obama Bubble Agenda, Pam Martens, CounterPunch, 6 May 2008. Presidential Campaign Finance Data, Federal Election Commission (FEC), 15 October 2008. Obama breaks promise on campaign finance, Campbell Brown, CNN, 29 October 2008. Obama Campaign's Financing, Sharyl Attkinson, CBS News, 27 October 2008. Celebrities, theologians and activists challenge Obama, Ekklesia, 13 November 2008. Wall Street and the Rise of Obama, Ron Kinkaid, AIM Report, 20 November 2008. Report says Obama's small-donor base claim is off, Ken Dilanian, USA Today, 24 November 2008. The New Obama Administration: A Lot of More of the Same , Rodrigue Tremblay, The New American Empire, 1 December 2008. Let us pray that Mr. Obama's historical election will be followed by real changes pursuant to the good of humanity and the integrity of the human habitat. Let us pray for his personal safety and well-being. Let us pray that he will find ways to tell the American people, and the world, that excessive consumerism is destroying the planet and inhibiting integral human development. Surely, scaling down the inauguration ceremonies would be a good start. 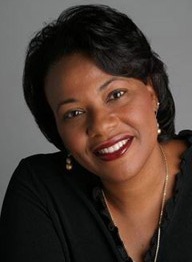 Daughter of Martin Luther King Jr.
Bernice King is the youngest child of Martin and Coretta King, and the only one who has received, like her father, a calling to ordained Christian ministry. Wikipedia has a good biographical article about her which includes a chronology of her ministerial activity since her ordination in 1990. She has published a collection of 17 of her sermons as a book, Hard Questions, Heart Answers, Broadway, November 1996. One of her best articles is Uprooting the seeds of violence, The Other Side, 1 September 1997, about the death penalty. She wrote: "Revenge, although a natural human feeling, has a detrimental impact over time and fails to produce healing for crime survivors. The death penalty may provide a temporary illusion of closure and satisfaction, but eventually troubles people of conscience and may foster further violence. Losses suffered by victims' families are not redeemed through placing misery on others through capital punishment." The conference on Environmental Accounting and Sustainable Development Indicators (EMAN 2009) will be held on April 23-24, 2009, in Prague, the Czech Republic. This year's conference will be focused indicators both at micro and macro levels. For more information please visit the EMAN 2009 website. Please direct your questions and suggestions to EMAN 2009. The 7th Open Meeting on the Human Dimension of Global Environmental Change (IHDP), 26-30 April 2009, Bonn, Germany. The theme of the meeting is "Social Challenges of Global Change." Points of contact: Ruben Sondervan, Jens Marson, and Prof. Oran R. Young (Chair, IHDP Scientific Committee). 2009 IEEE International Symposium on Technology and Society (ISTAS '09). Theme: Social Implications of Sustainable Development. May 18-20, 2009, Tempe, Arizona, USA. ISTAS'09 will be held concurrently with the IEEE International Symposium on Sustainable Systems and Technology (ISSST). Visit the SSIT website for submission guidelines and more information. Program Committee Chair: Clinton Andrews, Rutgers University. An inter-disciplinary and multi-disciplinary conference on "Decent Work and Unemployment" will be hosted by the Center for Ethics and Poverty Research (University of Salzburg), Salzburg, 26-29 May 2009. It seeks to examine and explore the connections of "decent work" and unemployment. Please send your paper together with a short CV to CEPR. The International Sustainable Development Research Society (ISDRS) is pleased to announce its 15th annual conference to be held in Utrecht, The Netherlands, 5-8 July 2009. See the conference flyer and the conference website. Email contact: FBU Conference Office. The Sexual Violence Research Initiative (SVRI) is pleased to invite you to its first conference, "SVRI Forum 2009: Coordinated evidence-based responses to end sexual violence," to be held in Johannesburg, South Africa, 6 - 9 July 2009. For more information and points of contact, visit the SVRI Forum 2009 web site and the SVRI web site. Oslo Summer School in Comparative Social Science Studies 2009. Course on "Liberation and Participation: Theory and Method for a Social and Political Community Psychology." Lecturer: Professor Maritza Montero, Universidad Central de Venezuela, Caracas, Venezuela. Dates: 27 - 31 July 2009. Limitation: 30 participants. The syllabus for the course is already posted. For more information: Professor Hilde Eileen Nafstad. International Society for the Sociology of Religion, 30th Conference in Santiago de Compostela (Spain), 27-31 July 2009. Theme: "The Challenges Of Religious Pluralism." See the conference website for more information. The point of contact for the conference is Hilde Van Meerbeeck-Cravillon. For the panel on religion and consumerism: François Gauthier and Tuomas Martikainen. The United Nation Environment Programme in cooperation with UNEP National Committee for the Republic of Korea will be hosting the 2009 Tunza International Children’s Conference on the Environment in Daejeon, Korea from the 17 to 21 August 2009. The conference theme will be "Climate Change: Our Challenge." It will collectively bring together about 400 participants (aged 10 to 14) from over 100 countries. For more details visit the conference web site or contact the conference staff via email at Tunza Conference. The 2009 Congress of the International Association for the Psychology of Religion (IAPR 2009) will be held in Vienna, Austria, 23 to 27 August 2009. Local organizing committee: Susanne Heine and Herman Westerink, Department for Practical Theology and Psychology of Religion, Protestant Theological Faculty, University of Vienna. The Association for Feminist Ethics And Social Theory (FEAST) invites submissions for the Fall 2009 conference, 24-27 September 2009, Clearwater Beach, Florida. FEAST 2009 will also include two invited panels: "Environmental Feminism," with Chris Cuomo, Trish Glazebrook, and Chaone Mallory, and "Evolutionary Psychology," with Carla Fehr, Letitia Meynell, and Anya Plutynski. Questions may be directed to Lisa Schwartzman. Join us for the 2009 Parliament of the World's Religions, 3-9 December 2009, Melbourne, Australia. The Council for a Parliament of the World's Religions invites all people of faith, spirit and goodwill to encounter the vast and rich diversity of the world's religious and spiritual traditions. Theme: "Make a World of Difference: Hearing each other, Healing the earth." Key topics: Healing the Earth with Care and Concern, Reconciling with Indigenous Peoples, Overcoming Poverty in a Patriarchal World, Securing Food and Water for all People, Building Peace in the Pursuit of Justice, Creating Social Cohesion in Village and City, Sharing Wisdom in the Search for Inner Peace. For more info: PWR2009. The International Association for the Study of the Commons (IASC) is still accepting preliminary proposals from individuals and organizations interested in HOSTING our 13th Biennial Conference, scheduled for the summer or autumn, 2010. For more information contact Jim Robson and visit the IASCP website.